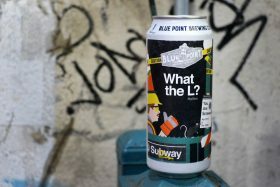 With the L train shutdown called off last month after years of preparing for its impact on commuters, many New Yorkers were left wondering what would happen to the mitigation efforts planned for both Manhattan and Brooklyn. 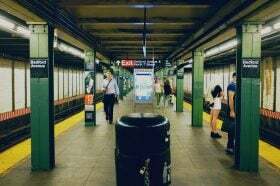 According to amNY, the Metropolitan Transportation Authority no longer sees the need for a busway on 14th Street, which was intended to limit car traffic during the L train shutdown. 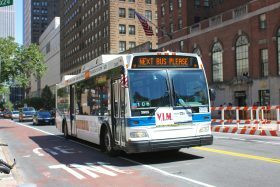 While the MTA said it intends to run buses as often as every three minutes on 14th Street when L train service is reduced this spring, critics say buses will move at a sluggish pace. 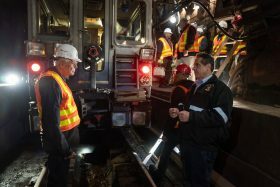 Beginning on Monday, the MTA is planning a series of overnight and weekend interruptions of L train service that will give commuters a glimpse at what’s to come when Governor Cuomo’s new one-track plan to fix the Sandy-damaged Canarsie Tunnel kicks in at the end of April. From January 28 and through March 18, L trains will not run between Broadway Junction and 8 Avenue weeknights from 10:45 p.m. to 5 a.m. 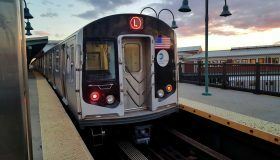 In addition to the weeknight closures, there will be no L-train service on seven weekends in February and March: Feb. 1-4, Feb. 8–11, Feb. 15–19, Feb. 22–25, March 1–4, March 8–11, and March 15–18. “The total shutdown of both tunnels and all service scheduled for April 27 will not be necessary,” reads a statement from the Metropolitan Transportation Authority released Thursday. 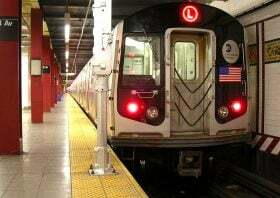 The announcement comes just a few days after the MTA held an “emergency” meeting to present the agency’s board with information about the new L train plan ahead of a vote on the project. But it appears the MTA will argue that the new plan, which would not require a total shutdown of subway service, does not need board approval to move forward after all.